HBO was faced with a difficult decision and they decided to cancel Luck after a third horse died on set. Sadly, yet another noble steed perished on the set of Luck — the title of which now just seems ironic. 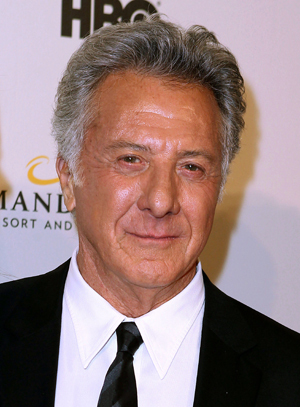 The HBO racetrack drama depicts the grit and glamour of horse racing; it boasts an enviable cast, including its leading man, Dustin Hoffman. Sadly, the show seems to have run out of luck, as HBO announced its cancellation on Wednesday after a third horse died on set. “It is with heartbreak that executive producers David Milch and Michael Mann together with HBO have decided to cease all future production on the series Luck,” read the statement issued by HBO. “Safety is always of paramount concern. We maintained the highest safety standards throughout production, higher in fact than any protocols existing in horseracing anywhere with many fewer incidents than occur in racing or than befall horses normally in barns at night or pastures. The third horse — a five-year-old filly named Real Awesome — died off-camera during the filming of the second season of Luck on the Santa Anita Park racetrack. Previously, two other horses were injured in separate incidents and had to be euthanized. Obviously, HBO did not want PETA to take their network down with hemp ropes and bamboo guillotines, so they opted to take the bullet and cancel Luck before things got out of hand. But how fun would it be to watch the HBO bosses run for cover as tofu is being flung in their trail? In the name of safety, Luck had to be euthanized. Au revoir!